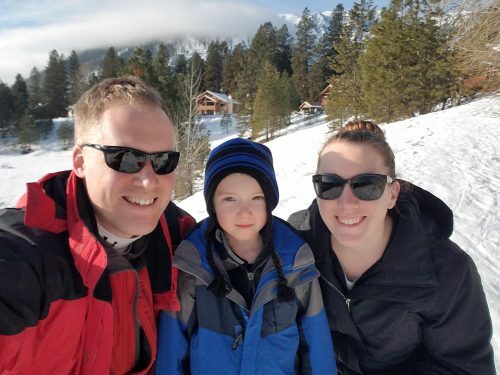 Last weekend, Don kindly let us use some of his timeshare credits and we all went over to Leavenworth for the weekend. Thankfully there wasn’t any new snow in the pass so it made the drive relatively quick and easy. It was a quick trip since we arrived Friday evening and left Sunday morning. 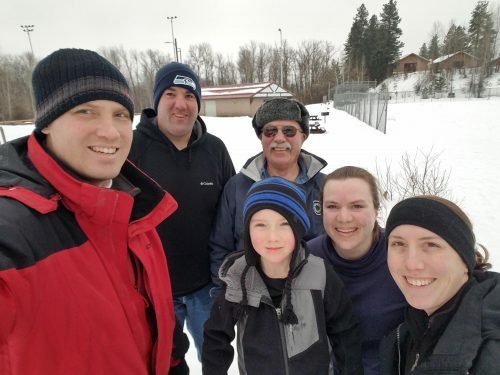 Saturday was our big day and we got things started with sledding. There was a great U-shaped hill right behind the condos. 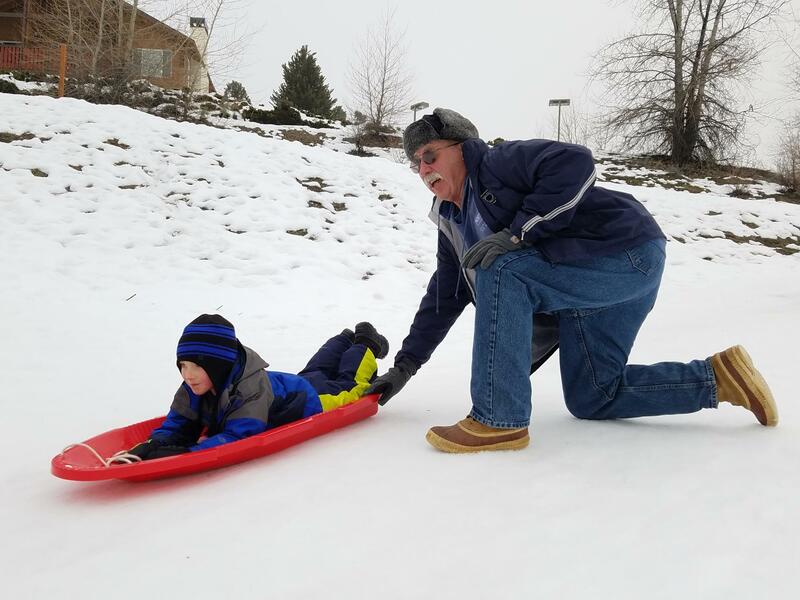 Even those the snow was hardpacked and icy in spots, we were able to find a gentle slope that was just right for Elijah. I figured he’d be bored after a couple runs but he must have made 20 or 30 trips up that hill by himself to come ripping down. Later in the afternoon we walked around the shops and then we had dinner at Andreas Keller Restaurant. I’ve never been to German so I don’t know how authentic it was, but it sure tasted good! Watch out for the $10 draft beers though. That was a surprise when we got the bill. 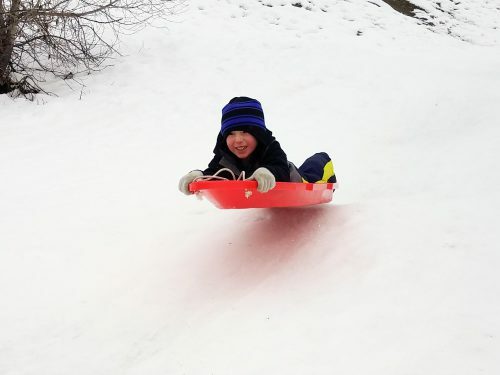 Elijah really wanted to go sledding again so we did a little more on Sunday. Unfortunately the run had changed a bit overnight and it shot him off the side head first into a park bench. OUCH. Tyla and I were pretty nervous about a concussion but he showed now signs for the rest of the day and even got back on his sled and tried it again. Note to self: teach my son how to bail out. It’s always a lot of work traveling with a family, but it was a nice weekend. Thank you Don for sharing your credits with us!